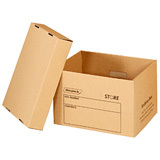 Whether you’re moving house or just need to clear some space and organise your vinyl collection, these cardboard record storage boxes offer the perfect archiving solution. 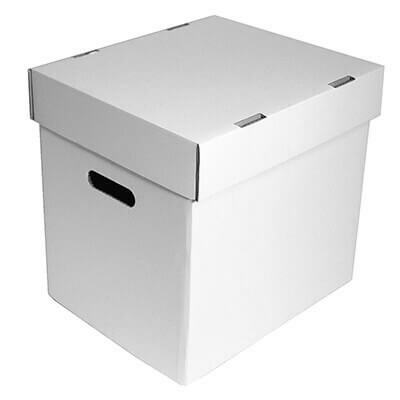 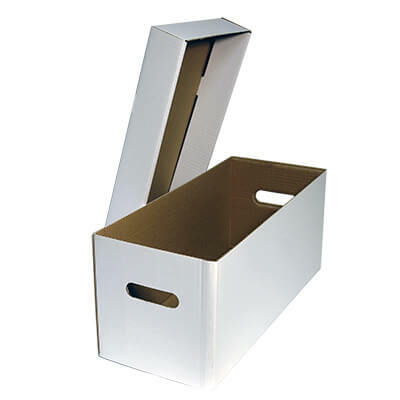 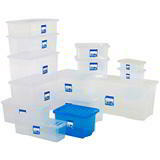 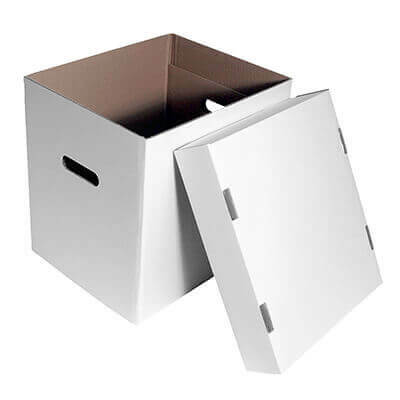 Made from quality single or double wall white cardboard, these record storage boxes are easily stackable and have grab handles for effective transportation, as well as a separate lid to keep your records in pristine condition and well protected from dust and abrasion. 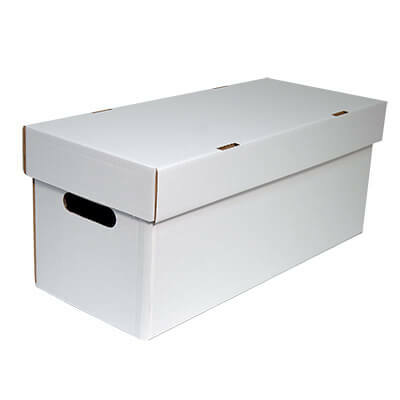 These white cardboard record storage boxes offer a quality archiving and storage solution for up to 200 7” records or up to 50 12" records.